On my travels I am often met by wonderful surprises and today would be one of those days that enlightens me a great deal. 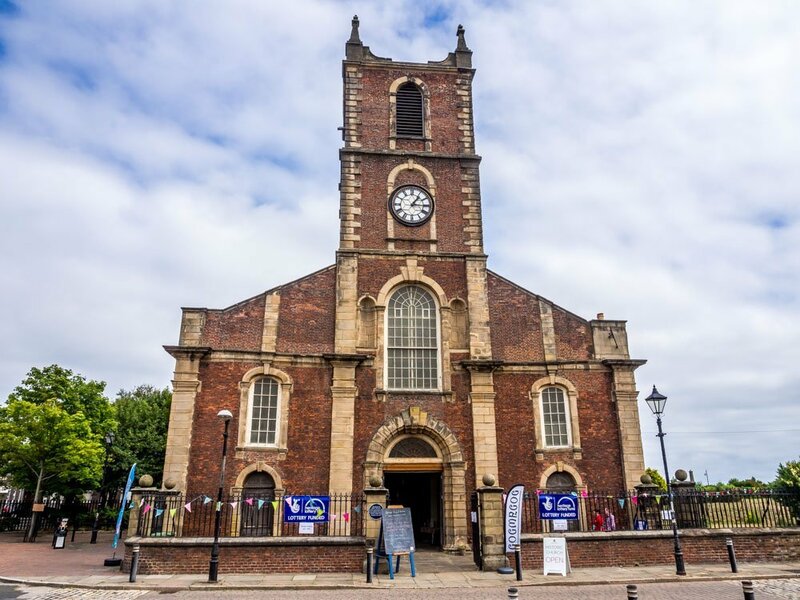 I was wandering the coast around the Port of Sunderland and came upon a unique little area of the City, an area that opens up your eyes and thoughts to the history of the city and its heritage, Old Sunderland, or otherwise known as the East End. The photo above is of the ‘original’ Trafalgar Square, built a couple of years or so before the more famous one in London, and is a good place to start this journey of discovery. 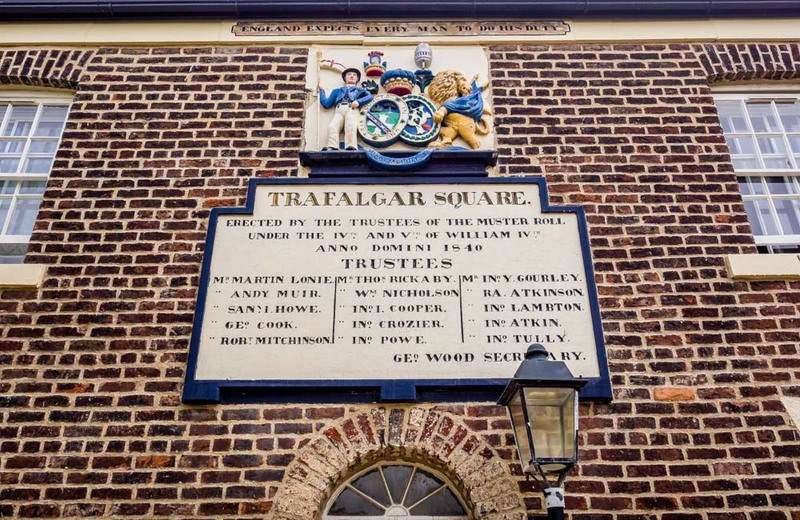 Named, of course, after the famous sea battle of 1805, Trafalgar Square is a set of Almshouses originally built for the maimed and disabled seamen of the area and their widows/children. Of course, Sunderland has an extremely rich connection to ships and seafaring and will come onto that later. Trafalgar Square today may be more modern inside but being a grade II listed building the looks from the outside are pretty much the same as when built, with gentle reminders of the battle itself and names of those from the area who took part. This part of Sunderland, by the Port of Sunderland is by all accounts the original Sunderland. In fact way back, this little area known as Sunderland was all there was named so. What is now the vaster city named Sunderland was once, Monkwearmouth (North of the river), Bishopwearmouth (South of the river), and the tiny place of Sunderland near the port/river mouth and more easterly (the least important of the 3). Hence Old Sunderland known as simply the East End. This all comes from a time when this was part of County Durham ran by the Prince Bishops). In fact it was as late as 1719 before Sunderland became a parish in its own name! And instead of the whole of the river mouth areas being collectively called Wearside the name Sunderland came to the fore. 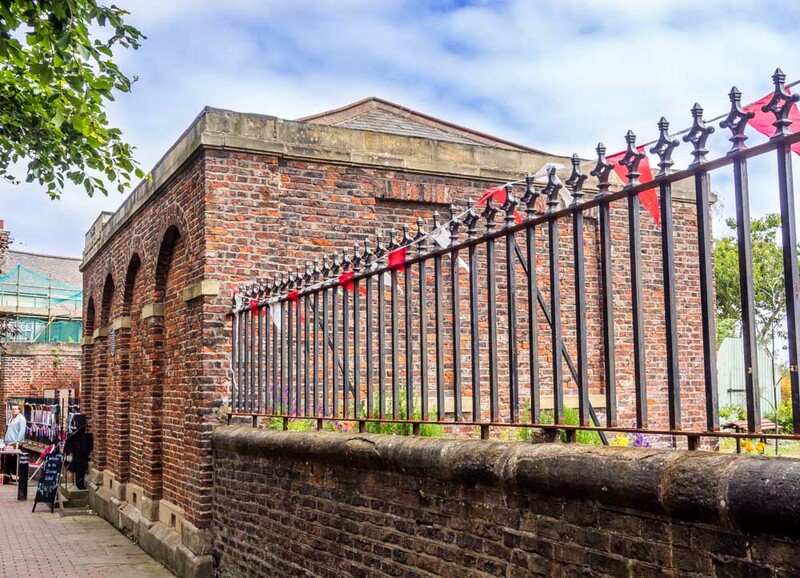 By then, industry was becoming huge but Newcastle had always had a massive stranglehold and monopoly on all shipping and coal merchants until the civil war. The rivalry began, Newcastle was Royalist and Sunderland was Parliamentarian, they were basically at war with each other in a sense. After the Civil War, Newcastle lost a lot of the monopoly and Sunderland grew, massively. 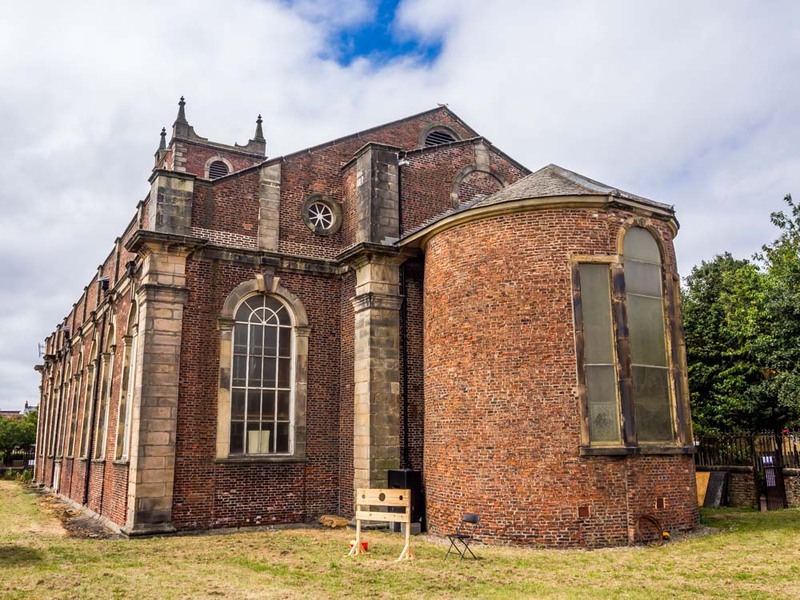 Upon gaining its own parish in 1719, they immediately got a church sorted in their own area. Holy Trinity Church. 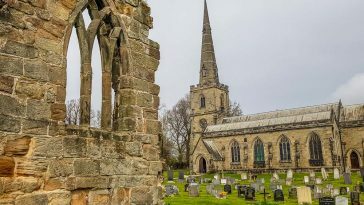 As you can see, Holy Trinity Church is quite unique as due to the later period than the norm it is from the early Georgian period along with the architecture of the day. 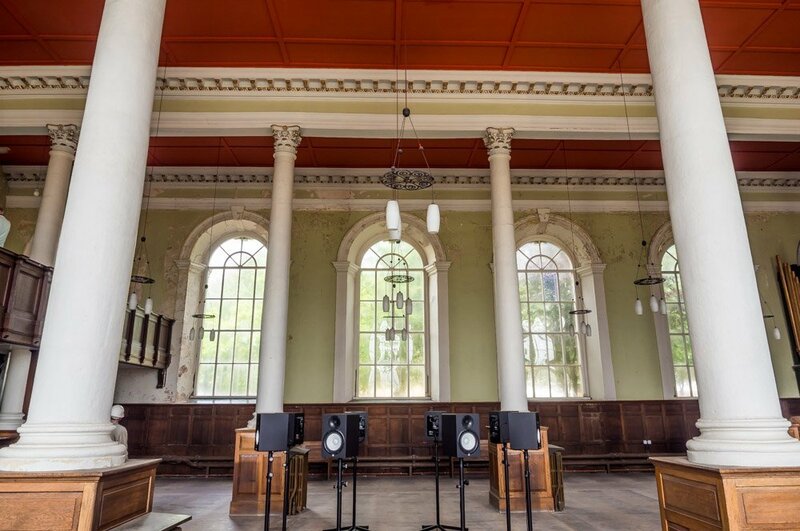 A Grade I listed building it is not used as a place of worship today but is a look inside is highly recommended. The style of decor inside is so much different than other older churches and you can see how it could be used for local meetings as well as for worship. 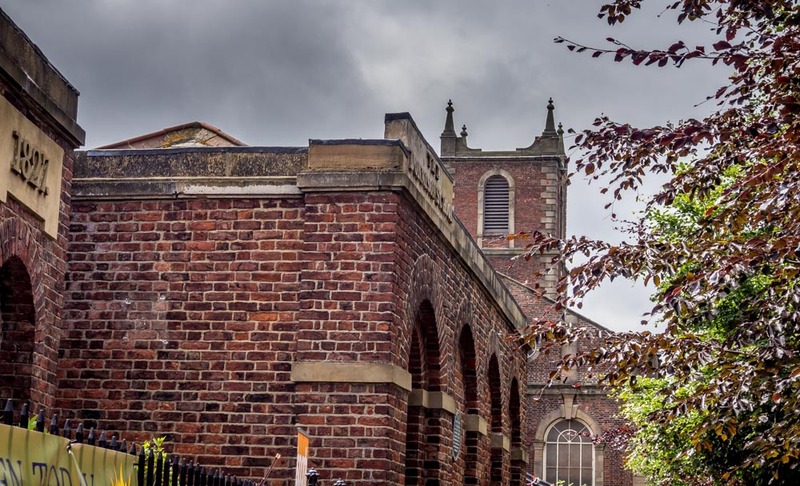 Nestled in between the church and Trafalgar Square is a little building, again of the brick style of this Old Sunderland, called Donnington School. A building full of its own history. Elizabeth Donnison, a local heiress with a fortune from her late husband (church warden James Donnison), made provision in her will (1764) for the building of the school. 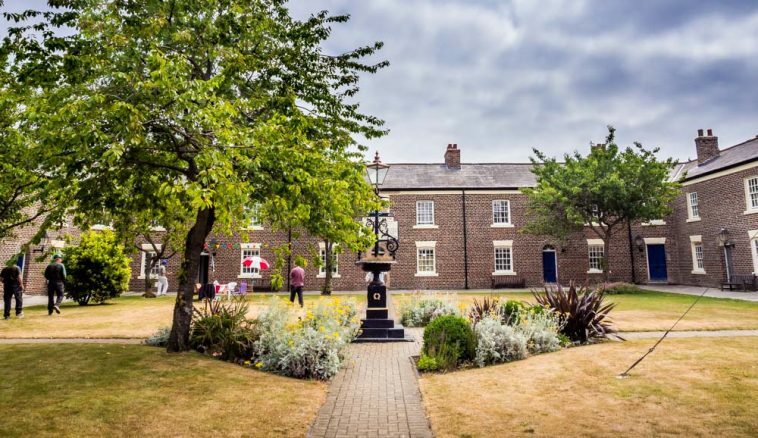 When you see this area of Sunderland today you see more open spaces around this historic building section but imagine, in the heyday of industry and ship building etc that the area was surrounded and packed with workers houses and slums. The church was built (charity schools were the way to go then) in 1798 to give free education to 36 poor girls from ages 7 – 16. Not only that they got given a free set of clothing to wear too. Next door and connected to the school an additional building was attached, the home for the school mistress, in 1827. This is the building that you should especially pop into if visiting the area. 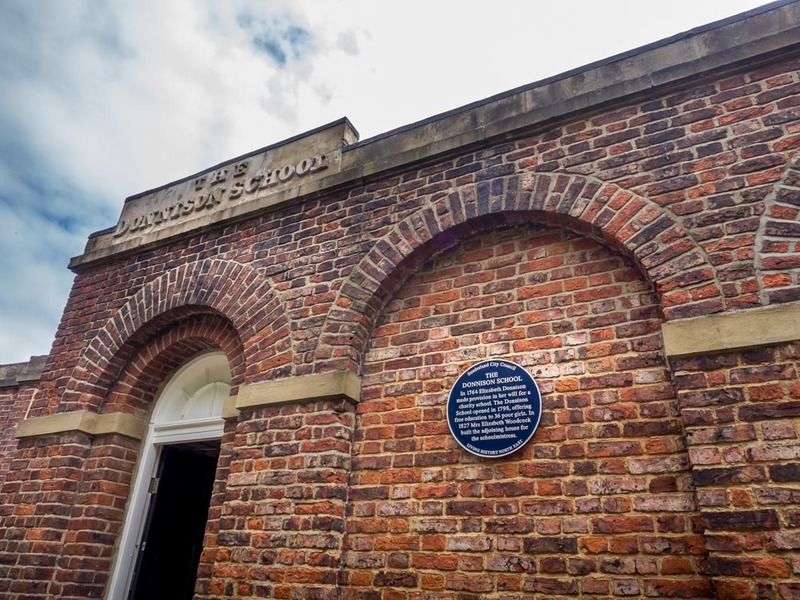 It is the cultural heritage and visitor centre in this quaint historic district and inside there is a wealth of knowledge to be gained about not just this building, how the school was and worked but also on all aspects of the East End, ‘Old Sunderland’. 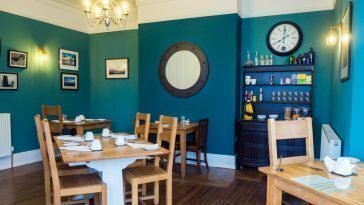 Why not call in for a coffee or tea as you look around, the staff are remarkably kind, extremely knowledgeable and with a genuine smile they wonderfully inform. 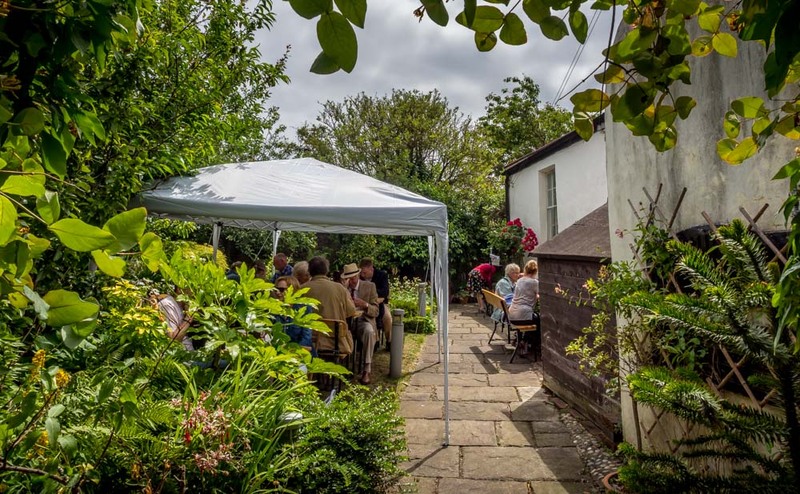 I had only wandered here as part of my visit to the Tall Ships event and taking a look into more of what the superb Seascapes project are up to, check that out, it is so much more than just sea and coast. 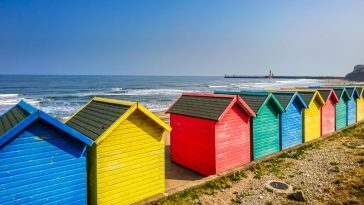 The heritage of this whole area is coming to the fore thanks to this project and helping not just locals but visitors alike see the coast from Tyne to Tees come alive. 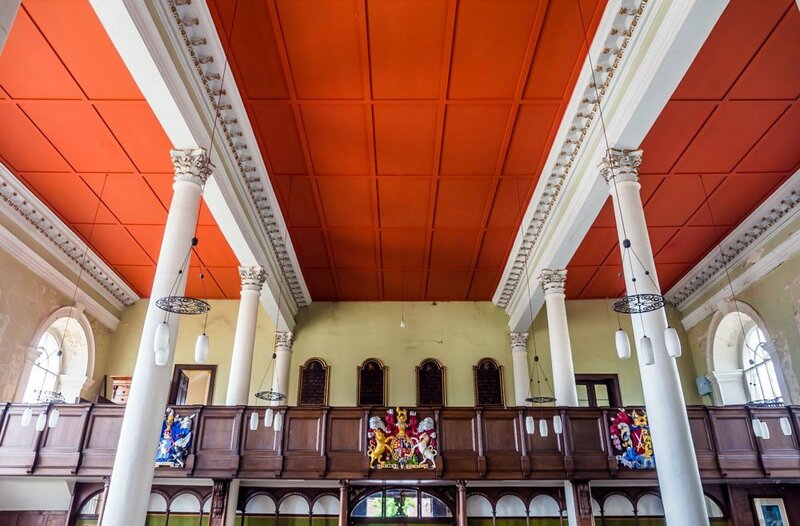 Not just aesthetically but also in bringing out the rich cultural heritage of the area.